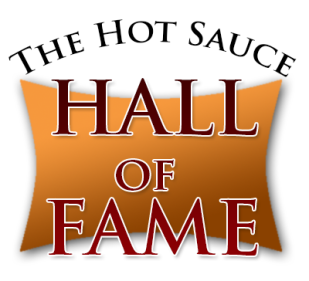 I’m Nominated to the Hot Sauce Hall of Fame! 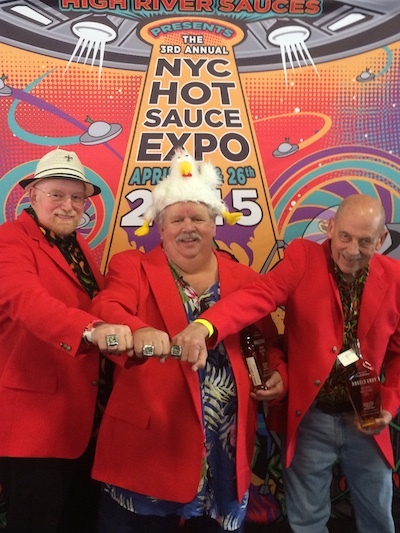 Steve Seaborn, producer of the NYC Hot Sauce Expo, has announced the establishment of the Hot Sauce Hall of Fame, and will induct five industry leaders under the heading of “Lifetime Achievement Award.” The induction ceremony will be held at his next show, April 25 & 26, 2015 at the Brooklyn Expo in Brooklyn, New York. The nominees are, in alphabetical order, David Ashley, Jim Campbell, Dave DeWitt, John Hard, Chip Hearn, Dave Hirschkop, Blair Lazar, Dave Lutes, Edmund McIlhenny, and Marie Sharp. Voting for the top five of these nominees is limited to members of the fiery foods and barbecue industries. The general public is not allowed to vote at this time. So if you are part of the industry, here is the official ballot for you to use, with complete instructions. Good luck to all nominees. Just in case, Mary Jane and I will be attending the show.